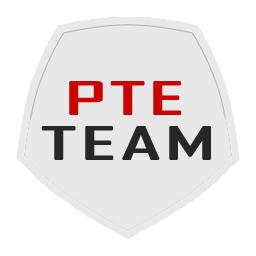 This file is the new option file for PTE Patch 2016, it includes Season 2018/2019 for Pro Evolution Soccer 2016 with PTE Patch 2016 v6.0 Installed. Thanks to Mackubex for creating the file. Many new transfer updates have been applied to this file. Backup your Option File first in case there's any errors ! In the 2018-19 Barclays' Premier League Season, Cardiff City, Fulham and Wolverhampton Wanderers are all promoted from the EFL Championship. While Stoke City, Swansea City and West Bromwich Albion got relegated to the second division for the 2018-19 EFL Championship Season. For the 2018-19 La Liga Season, SD Huesca, Rayo Vallecano and Sporting Gijon are the teams promoted from the Segunda División. The three promoted clubs will replace Deportivo La Coruna, UD Las Palmas and Malaga who were all relegated last season and will now play in the Segunda División. In the 2018-19 Serie A Season, Empoli, Frosinone and Parma are all promoted from Serie B. While Benevento, Crotone and Hellas Verona gets ready for the 2018-19 Serie B Season after being relegated from Serie A last season. For the 2018-19 Ligue 1 Season, two clubs were promoted: Stade de Reims and Nîmes Olympique. They replace Trotes and Metz, who were relegated and will now play in Ligue 2. For the 1. Bundesliga 2018-19 Season, Fortuna Dusseldorf and FC Nurnberg was promoted last season and will replace FC Koln and Hamburg SV.